Over the past years we have hosted a number of interns and researchers from different countries and studying a variety of subjects, for whom working in the human rights research sector in Malta provided an invaluable part of their research and training. Interns have generally stayed with us between 6 weeks and 6 months, are often postgraduate students, and have worked on a range of projects, contributing to our research, project and lobbying work. Particularly for a small organization such as the People for Change Foundation, the internship program and the expertise and energy afforded to us by our interns, who are always full team members, has been invaluable. Below are some of our past interns' profiles. 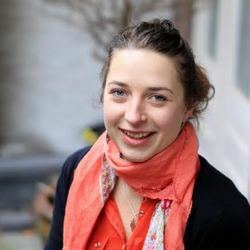 Giulia holds a Bachelor’s degree in Social Policy and Economics from the University of Edinburgh and is currently completing a Masters degree in International Relations at the University of Groningen in the Netherlands. She is a co-founder of The Buchanan Institute, Scotland’s first student-led think tank, and has recently completed an internship with the European Network Against Racism, working in the department of advocacy on migration and of network development. Throughout her studies, her work focused on human rights, conflict and migration studies, and she wrote her thesis on the rights of unaccompanied refugee children. In her free time, Giulia enjoys travelling, cooking, reading fiction and learning foreign languages. ​Areas of interest/expertise: migration, inclusion and integration, human rights, race and gender equality, EU politics. Jeanne holds a Bachelor’s degree in English Language and Culture from the Radboud University Nijmegen (Netherlands), and completed a Master in European Studies at King’s College London. For her postgraduate thesis she conducted fieldwork with young, male Afghan asylum seekers in Berlin, focusing on masculinity, cultural identities, inclusion and the fear of deportation. Before coming to PfC, Jeanne has volunteered for the Boat Refugee Foundation in Lesvos, where she coordinated a women’s empowerment group for Afghan refugees. She also completed a training on refugee inclusion and gender equality in Southern Italy and contributed as a research assistant to Social Science Works in Potsdam. In her free time she enjoys travelling, food, art, and meeting up with friends. 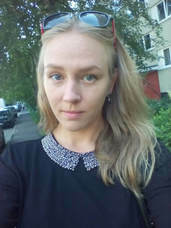 ​Ekaterina is currently reading for a Masters Degree in Baltic Sea Region Studies at the University of Turku (Finland) where she focuses on issues of migration and ethnic diversity. She holds a Bachelor’s degree in Cultural Anthropology from Herzen State University (Russia) and a Masters specialization in Globalization, Migration and Development at the Radboud University (the Netherlands). Her Master’s thesis is an intersectionality study exploring the interconnectedness of race with class, nationality and gender in lives of African entrepreneurs in Finland. 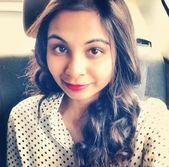 Prior to joining PfC for her internship, she worked as a Research Assistant in the URMI research project (Finland) investigating social inclusion and impact of refugees on hosting communities. In her free time, Ekaterina travels, does yoga, plays volleyball and enjoys literature. Simona holds a Bachelor’s degree in Political Science and International Cooperation from the Catholic University of the Sacred Heart of Milan and is currently reading for a Master’s degree in International Relations at the Graduate School of Economics and International Relations in Milan. Her interests revolve around the protection of women’s rights and her undergraduate thesis focused on the development of political rights and gender equality in Scandinavian countries. Simona also volunteered for Amnesty International Switzerland where her work focused on raising awareness of human rights violations around the globe. 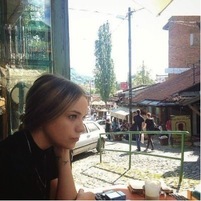 In her free time, Simona enjoys travelling and reading. Maria holds a bachelor’s degree in Law from the University of York in the UK and a master’s degree in Public International Law from Leiden University in the Netherlands. Her undergraduate thesis focused on the impact of anti-terrorism measures on the right to liberty and fair trial in the UK. Before joining PfC, Maria volunteered in the legal unit of the Greek Council for Refugees, and contributed as a research assistant to the latest edition of the book ‘An Introduction to International Criminal Law and Procedure’. In her leisure time, Maria enjoys reading and practices martial arts. Ruben obtained an LL.M in European and Constitutional Law from KU Leuven and an LL.M in Public International law from Leiden university. His latest thesis studied the legality of detention of irregular migrants in Belgium. Ruben also practiced as a lawyer in immigration and criminal law for three years. As a volunteer, he worked for the Dutch organisation Vluchtelingenwerk Nederland, aiding and advising refugees with their applications for family reunion. Outside of work, Ruben enjoys movies, history and rock climbing. Yana holds a Bachelor’s degree in Politics with International Relations from the University of York and will be starting a Master’s degree in Anthropology and Development at the London School of Economics later this year. Her undergraduate thesis analysed the reasons behind Cambodia’s decline in democracy after spending time volunteering in the country. 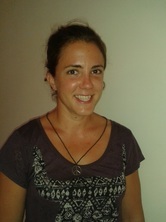 Her work in Cambodia involved evaluating an NGO’s educational impact in the local community. Yana also attended a summer school at The George Washington University about Justice, Equality and Policy. Her interests include reading, travelling and attending art exhibitions and galleries. Claudia holds a Bachelor degree in Law and Social Education with a focus on Human Rights, being a student at the Pompeu Fabra University (Spain) and the University of Oslo (Norway). Her thesis focused on unaccompanied minors crossing European borders and the responsibilities of European States in that context. She is currently enrolled in a Master’s degree in International Humanitarian Action with a specialization in Forced Migration and Human Security (University of Groningen and University of Malta). In 2014 she worked for Committed Communities Development Trust (CCDT) in India, on a project related to integration of children affected by HIV. In 2016, she worked as a legal assistant in Greece for refugees and asylum-seekers in collaboration with Advocates Abroad. She has a special interest in integration of migrants in host communities as well as human rights advocacy. 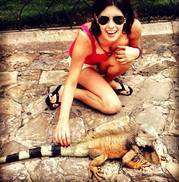 During her free time Claudia likes hiking, practicing kickboxing and playing the guitar. Mailan holds a Bachelor’s Degree in Media, Communication and Political Sciences from the University of Hamburg, Germany, where she specialised in Critical Discourse Analysis, especially of the political and public societal sphere. She wrote a thesis on the contemporary political public discourse relating to refugees and migrants arriving in Europe with a critical reflection of the metaphoric language used in German News Report about the so called “Refugee Crisis”. After graduation, she worked at Plan International, an NGO focused on children’s rights and access to education, especially for girls and young women. She is now enrolled in the NOHA+ Erasmus Mundus Master’s Programme in International Humanitarian Action with a thematic specialisation in Forced Migration and Human Security. As part of this degree, she is studying at the University of Malta for one semester, hoping to work on improving the protection of vulnerable groups in settings of internal displacement and forced migration in the future. In her spare time, she enjoys traveling, discovering new things, and occasionally just sitting in the sun with coffee. Fatima holds a bachelors degree in Politics from the University of York where her interest and thesis focused on Somali women’s political participation and representation as well and minorities and marginalised groups in the UK. Fatima’s interest in human rights developed from the early age of 13 where she was part of the Heart Connection Tour for Dance4Life, aiming to educate using stories of HIV positive individualsShe worked as a Black and Asian Minority Ethnicity officer for Constantine College aiming to shape the experience of BAME students on campus by tacking racism and discrimination. She held an event titled ‘The BAME Experience: BAME issues awareness’ where she educated students on matters relating to minority discrimination within the workplace and education. She is hoping to study Law and specifically enter into a field in human rights and immigration. In her spare time, Fatima enjoys long walks by the sea and tries to avoid eating too many delicious Pastizzi. Derek holds a MMus from King’s College London in Ethnomusicology and is currently completing an MA in Political Science at the University of North Carolina at Chapel Hill, publishing a thesis entitled Voicing A Systemic Margin - online activism and migrant integration in France. He has previously worked in archival research, administration, and web development at the Smithsonian Institution in Washington DC. His main research interests involve the migration and cultural integration of immigrants from the MENA region in Europe, digital ethnography, and music therapy and artistic development in refugee communities. Outside of work, Derek enjoys skiing, horror films, and occasionally writing a little music. Deborah holds a Doctor of Laws degree from the University of Malta, following her graduation in Bachelor of Laws and the Diploma of Notary Public from the same University. Her passion for human rights is reflected in her Doctor’s thesis, “Does Therapeutic Human Germline Editing Discriminate Against Persons with Disability? An Analysis of the Potential for Discrimination Through Ableism”, where she addressed human rights issues concerning disability, aspects often overlooked in biotechnology. Her main human rights interests fall in the sphere of vulnerable groups, particularly migrants, children and LGBTQI+ communities. Throughout her student years, she was active in student organisations, as Administration Secretary as well as Education Officer, which fuelled her passion towards politics, policy-making and diplomacy. 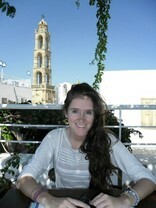 Deborah enjoys traveling, dancing and learning about different cultures, languages and cuisines. 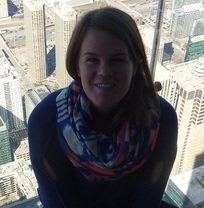 Marcella holds an MSc in International Development Studies from the University of Amsterdam in the Netherlands. She has previously worked in project management, monitoring&evaluation and communication. Before joining PfC, Marcella lived in different African countries, namely Senegal, Rwanda and Burundi, where she worked with international NGOs and a bilateral government agency. Her main interests lie in migration, gender and in challenging the representation of Africans and migrants in Western mainstream media. To this end, she has independently produced a web documentary on voluntary return migration between Italy and Senegal called Demal Te Niew, which was published on L’Espresso and El País. As part of her communication work, she has also published on The Guardian Witness, Africa&Mediterraneo and L’Essentiel des Relations Internationales. Marcella also loves travelling and learning foreign languages. Areas of interest/expertise: development, migration, gender, communication. 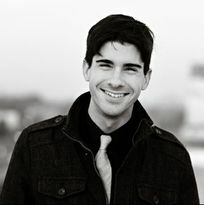 Joseph is a recent graduate from Gonzaga University with a double bachelors (BA) in International Relations and French. He was an active member in both Model United Nations and Intercultural Student Union throughout his four years, and held leadership roles in both groups. During his studies, he focused particularly on European politics and the role of colonialism in conflict, writing his senior thesis on the future of armed conflict in Nigeria. He hopes to pursue graduate work in the field of peace building and post-conflict reconstruction. Outside these topics, Joseph enjoys learning new languages (currently studying Hindi), cooking, and travelling. Areas of Interest: International Law, Post-Conflict Reconstruction, Post-Colonial Societies, International Security, Citizenship Law, Integration, and Asylum. Teo holds a Research Masters in Contemporary History from the University Paris-Sorbonne and a B.A. in International Relations from the University of Geneva’s Global Studies Institute. Thanks to his Masters thesis focused on the role of French diplomacy during the Cypriot conflict (1963-1975), Teo has a developed a good understanding of the complex geopolitical issues surrounding the modern-era Mediterranean Basin. Teo also has experience in the field of diplomacy, gained through an internship carried out at the embassy of the Republic of Turkey in Ivory Coast. His stay in the Gulf of Guinea offered him an opportunity to familiarize himself with the local political, humanitarian and media landscape. Along with his interest in Western African and Maghrebi geopolitics, Teo shares a passion for practicing bass guitar, swimming and French cinema. 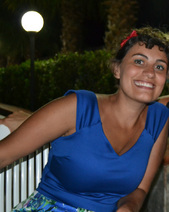 Giulia is currently reading for a Masters in Advanced Migration Studies at the University of Copenhagen. She holds a B.A. in International Studies from the University of Trento (Italy). Throughout her studies she analysed the causes, consequences and dynamics of present day migration, cultivating a particular interest in the phenomenon of unaccompanied child migration. Before joining the People for Change Foundation, she also volunteered in a House of Migrants in Mexico, where she supported the integration of migrants and repatriated Mexicans hosted in the shelter in the local community. She has also worked as a fundraiser with COOPI, an Italian humanitarian organization. Giulia loves travelling, hiking, and practicing yoga. Areas of interest: migration, human rights, child migration, inclusion, gender, identity. Hilda is a Master's Student at the School of Public Policy of the Central European University. During her studies her focus areas evolved around digital activism, European asylum and integration practices, evidence-based migration policies, writing her thesis on the often-conflicting relationship between 'old' and 'new' immigrants. She chose this study path after working for five years in the Romanian Parliament as a press referent and afterwards as a consultant of the Foreign Affairs Committee. Besides PfC, Hilda has worked with civil scoiety organizations in the USA, where during a minority- and diversity-themed internship she worked closely with different national minority groups, organized job fairs and adult trainings for the members of the local LGBTQ community, and conducted panel discussions for younger audiences on active citizenship. Eliana is a recent graduate in International Relations and Diplomacy. She has written her final thesis on the role of NGOs and IGOs in the implementation of International Child Law and will start her MA with a focus on Post-Conflict Reconstruction and Humanitarian Intervention in September. Before joining PfC, Eliana volunteered with several organizations in Italy and Kenya.. In the past two years, she has worked on projects on children and women’s rights in Rajasthan, India. Her goal is to work with children in danger in post-conflict areas. In her free time, Eliana enjoys singing and playing musical instruments, reading and traveling. Flavia is completing an Erasmus Mundus Masters on cooperation for development and cultural integration in the MENA region; she is writing her final thesis on the effects of hate speech and hate crimes on the integration process and on identity building of second and third generation immigrants. She has previously worked as an assistant teacher of Italian for non native speakers at CIES onlus and served as a volunteer in the CNGEI scout movement and the Italian Red Cross. In her spare time, Flavia enjoys travelling, learning new languages, discovering new cultures, reading and drawing. Areas of interest: integration, migration, identity and radicalization. Emma holds an MSc in International Relations from the London School of Economics and Political Science. Her research focused on Humanitarian Intervention and post-conflict reconciliation strategies – critiquing the pillars of the responsibility to protect and the responsibility to rebuild of the R2P doctrine. Before joining PfC Emma volunteered at the Red Cross Malta, tracing and restoring refugee family links. She has experience working in the UK, Tunisia and Libya. In her free time she enjoys horse riding, travelling, playing tennis and boxing. ​Claudio is completing his Erasmus Mundus Masters on migration and international cooperation and is writing his thesis on the social consequences of European migration policies. He has volunteered with a number of civil society organisations in Europe and Tunisia and is planning to further his studies by completing an MA in European Studies and International Relations. In his spare time, Claudio enjoys travelling and taking online courses in a variety of fields, including languages, law and politics. Areas of interest: human rights, migration, development. Tamara is currently studying to become a secondary school teacher and school psychologist at the LMU University in Munich. Her main subjects are English and Philosophy/Ethics in which she focuses on the philosophy of religions. Due to her interest in development aid and education she volunteered for six months in a Peruvian orphanage before starting her degree. In her spare time Tamara enjoys reading, backpacking, cooking and watching anime series. Erica holds a degree in law and specialized in the field of Human Rights by attending many courses about the topic. Her final project was about the equality principle and the caste system in India and she chooses it because it involved many subjects that interested her, such as religion, communalism, discrimination, positive actions and so on. She has worked as a volunteer for an organization that aided the victims of trafficking in Northern Italy. She also volunteered for one of the centers of the Jesuit Refugee Service. In her free time she enjoys reading, cooking, playing sports, watching movies and series, planning adventures. 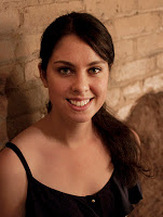 Lauren holds a degree in International Development from The University of Northampton, UK. Her BA thesis looked into the relationship between early life malnutrition and adulthood economic prosperity. She moved to Malta from Indonesia where she had been teaching for two years. In her free time she enjoys reading and travelling. Areas of interest: education, migration, economic development, human rights and policy-making. 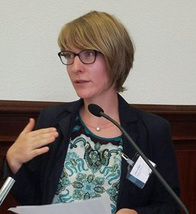 Berthine de Ruiter holds a Bachelor’s degree in International Relations and International Organizations with a specialization in International Conflict Resolution from the University of Groningen, the Netherlands. 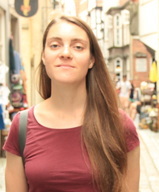 Berthine wrote her BA-thesis on the Israel-Palestine conflict, investigating the role of identity in protracted social conflict looking at grand narratives and memory. Currently, she is doing her Master’s in Religion, Conflict and Globalisation in Groningen. Berthine has been part of the “Positive Images” student commission of the Red Cross. Outside of these topics she enjoys drawing, painting, cooking and traveling. Areas of interest: Asylum and Migration, Religion in the Public Domain, International Politics, Fundamentalism, Conflict Resolution and International Security. ​Alessia holds an MPhil and a PhD in International Peace and Security studies from the General Gutierrez Mellado University in Madrid, Spain. Her PhD thesis examines the migration and development nexus in relation to Egyptian highly-skilled migrants in Austria. Before joining PfC, Alessia had been working with consulting firms as well as INGOs and NGOs dealing with migration and refugee issues such as IOM, UNHCR, ICMPD and UNRWA. 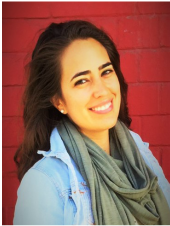 She has developed a sound knowledge of the Mediterranean / MENA region through her PhD studies on Egyptian migration and her working experience in the region, especially in Egypt and Jordan. Alessia is fond of detective stories. Marion Cailleux holds a Master’s degree in Communication Studies from the University of Nice Sophia Antipolis, in Nice, France. Her master thesis investigates the role played by the media in the construction of the European Public Space. It focuses on the impacts of French and Pan-European media coverage of the Malta’s EU integration and the European migration “crisis” on the emergence of a European Public Space. In her free time, she enjoys travelling, hiking and reading. 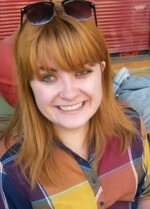 Eilidh holds a Bachelors degree in Law and English Literature from Glasgow University. She is currently studying for an LLM in Human Rights and Migration Law at Radboud University in the Netherlands. Her Masters thesis will focus on gender in refugee law. 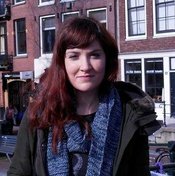 Eilidh has volunteered and worked for numerous organisations in the fields of integration, asylum and human rights. In her free time Eilidh enjoys travelling, reading and baking vegan cakes. Ka Chun Lai holds a Bachelor’s Degree in Religious Studies from the Chinese University of Hong Kong. He is now doing a Master’s Degree in Peace and Conflict Studies, jointly offered by the University of Kent in the UK and the University of Marburg in Germany. Before pursuing postgraduate studies, he had been working in the Hong Kong’s major Christian newspaper, Christian Times, as an assistant editor for five years. He has a keen interest in research into migrants’ issues and human rights and would like to integrate his research with journalistic work in the future. In his free time, he enjoys sports, reading and watching films. Areas of Interest: Migrants’ Rights, Conflict Resolution, Reconciliation, Post-Genocide Reconstruction, Media and Journalism. Ana Maria Garcia Avendaño holds a Bachelor´s Degree in Social Communication from the University Javeriana in Bogotá, Colombia. Her BA thesis focuses on transnational migration, social representation, and media. Currently, she is undertaking her Master in Global Studies at the Albert Ludwigs-Universität in Freiburg, Germany, in cooperation with the University of Cape Town and the Chulalongkorn University in Bangkok. In her free time she enjoys travelling, photography, cooking, and dancing. Areas of interest: Migration, sustainable development, and journalism. Carla Fernandez Falcon holds a Bachelor's Degree in Law from the University of Las Palmas de Gran Canaria, Spain, and a Master's Degree in International Relations from Middlesex University, United Kingdom. Her Master's thesis investigates child trafficking in South East Asia, analyzing the progress that has been achieved concerning this issue and the limitations thereof. During her studies she focused on Human Rights, Migration, Globalization and Foreign Policy. In her free time she enjoys traveling, working out and reading. Areas of interest: Human Rights, Asylum and Migration, EU Politics, Sustainable Development, Global Security. Lisa holds a double Bachelor of Arts (BA) in International Studies and Law, Societies & Justice, as well as a Certificate in European Union Studies from the University of Washington in Seattle. She was an active member of Model United Nations throughout university, and is a current Board Member of the United Nations Association of Seattle. During her studies she held particular interest in the role of international and supranational institutions in resolving conflict, and plans to pursue an L.L.M in this area. Outside of these topics, Lisa enjoys cooking, researching genealogy, and adding to her collection of old books about Finland. Felicia Oscarsson holds a Bachelors degree in Development Studies with a major in political science from Lund University, Sweden. Felicia wrote her BA-thesis on Scandinavian NGOs co-funding of Somalia Diaspora organisation’s development projects. Throughout her studies she focused on migration related issue concerning development, local integration and female labour migration. Felicia has volunteered as an educator for the Red Cross Youth and been part of an Amnesty group. Except volunteering, Felicia likes travelling, cooking and working out on her free time. Teresa is studying too degrees at the same time: she is in her last year of Political Science at Universitat Pompeu Fabra and in her second year of Art History in Universitat de Barcelona. She is an active member of her university's United Nations Association, participating in several MUNs and holding the position of Secretary General until last year. Teresa plans on doing a MSc and after that a PhD, focusing on conflict resolution, minorities' and women's rights, and national identities. In her free time, Teresa enjoys painting, traveling as much as possible and capturing moments with her camera. Areas of interest: United Nations, political science, conflict resolution, identity. Martina holds a Bachelor degree in Political Sciences and Communication Studies (LUISS Guido Carli University, Rome). She defended her first dissertation on the Italian policies regarding migrants and refugees, appreciating the connections between the economic sector, politics and public opinion. 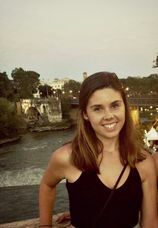 She is now enrolled at a Master in International Relations (LUISS Guido Carli University, Rome) and is currently working on her final dissertation, focusing on work-life balance and reconciliation policies. This subject allows her to combine different interests cultivated for many years: social affairs, rights, diversity and equality, non-discrimination. She integrated her academic profile with an international experience, supporting the University of Malta’s Centre for Labour Studies. She also worked as editor for a non-profit association as well as managing editor for a research centre covering the MENA region. 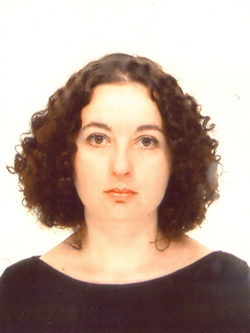 Isotta Rossoni holds a BA in Russian and International Relations from Queen Mary University of London and an MSc in Criminology and Criminal Justice from the University of Oxford. Her MSc thesis explores the legitimacy of immigration detention, drawing on a small sample of interviews with Oxford-based volunteers. Isotta is passionate about migration and asylum issues -particularly immigration detention, trafficking and smuggling - and has experience working/volunteering in the non-profit sector in Italy and in the U.K. In her free time, she enjoys writing, traveling, learning foreign languages and dancing. Fiona Woo completed her BA Honours in Economics at Queen’s University and holds an MSc in Politics, Economics and Philosophy from the University of Hamburg. Her master’s thesis developed and applied a game theoretic framework to investigate the role of trust and cooperation in interpersonal voting strategies. During and after her studies, Fiona worked for several years on urban development, climate and energy policy in an international NGO in Hamburg. In her free time she enjoys writing, baking and exploring the great outdoors. Hannah Bensusan holds a 1st Class MA in Hispanic Studies from the University of Glasgow and an LLM in Peace Operations, Humanitarian Law and Conflict from the Irish Centre for Human Rights at NUI Galway. After graduating she completed an Internship with Minority Rights Group International in London. She has volunteered with the Scottish Refugee Council and also spent 6 months interning with UNHCR in Quito, Ecuador, before beginning her LLM in Ireland. Her LLM Thesis explored the potential gap in refugee protection for non-state ex-combatants, suggesting that state-centric legal constructions of war and permissible arenas of violence, and the application of labels such as ‘unlawful’ or ‘unprivileged’ combatant and ‘terrorist’ to refer to non-state armed actors, greatly compromises one’s access to refugee protection should they be deserving under Article 1F of the 1951 Refugee Convention. In her free time, Hannah enjoys travelling, reading, cooking, music, hiking and sunshine! ​Areas of interest: humanitarian law, asylum and migration - particularly refugee status determination, the securitisation of migration, migrant integration. 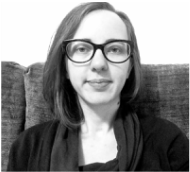 Greta has a BA in Social Work from Vilnius University and is starting her Masters on the same subject in order to deepen and broaden the knowledge. 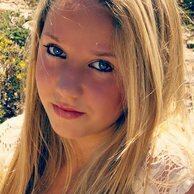 She is now working as health educator in the school in Lithuania and starting her volunteer work with elderly in Malta. In her free time Greta loves playing piano, singing in choir, reading books and spending time in nature. Geraldina holds a Master degree in Political science, with a specific focus on cooperation and development, at the University L'Orientale of Napoli. She has worked for a couple of years in the reception system for asylum seekers and refugees in Italy and on several projects related to migration issues and children education. 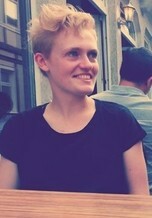 Currently she is enrolled at the second year of the MA in Advanced Migration Studies at the University of Copenhagen. In her free time she listens music, reads, loves travels and to get to know other cultures. Enya is currently a third year law student following the Bachelor of Laws (Honours) course within the University of Malta. She has been active in various student organisations including AIESEC Malta and GHSL's Policy Committee. In her free time she enjoys dancing and baking. Areas of interest: migration, human rights and family law. Olga holds LL.M. in International law and law of international organizations with specialization in human rights from the University of Groningen, The Netherlands. She is interested in international law and practice of international human rights bodies. In her free time she practices yoga and fills in the gaps in her knowledge of Russian culture and mythology of ancient Greece and Rome. Veronique obtained her bachelor’s degree in Political Science and International Relations from “Università degli Studi Roma Tre”. She submitted her thesis in November 2014, which focused on the doctrine of “The Responsibility to Protect” and its failure to be truly effective in humanitarian crisis. She is currently reading a Master’s degree in European Union Law at Leiden University, in the Netherlands. Her main focuses include Human Rights, Fundamental Freedoms ,Competition Law and External Relations of the European Union. Veronique loves travelling, reading, listening to music and cycling. 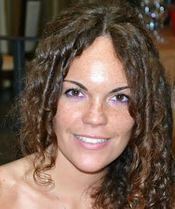 Ana graduated on Social work from Barcelona University, after a year of studies in the Minority and ethnicity department of Eötvös Loránd University in Budapest, Hungary. Here is where she got interested in Minorities Rights and she decided to stay longer in order to broader her professional career in Human Rights at the European Roma Right Centre, as a Human Rights Education intern. She aspires to get into a Masters in Human Rights next year. In her free time, Ana plays rugby and enjoys any type of sports, she is passionate of traveling and discovering new places and cultures. Area of interest; Human Rights, Minority Rights, Migration and Assylum Policies and Practices, cross-cultural and religious understanding. Peter has just finished his first year of the Master’s program in Law in Slovakia. He was also studying Law in Thessaloniki, Greece and in Ljubljana, Slovenia through Erasmus program. He is interested in International Law and in International relations. 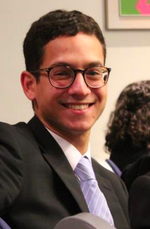 He was participating in Student Symposium of International Law and did an internship at the Law Office in Slovakia. In his free time Peter enjoys hockey, swimming and hiking. 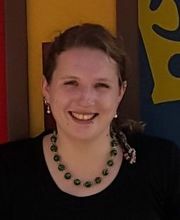 Anniek is finishing off her Masters degree in International Development Studies from Wageningen University and Research Centre. She holds a Bachelor in American Studies from Groningen University and has focused on migration in both her degrees. For her Master thesis, she conducted fieldwork in San Diego to analyze Mexican undocumented students’ access to institutions and services and overall life experience. In her free time, Anniek loves hanging out with friends, reading books, or travelling and exploring new places. Areas of interest: migration and asylum policies and practices, humanitarian aid, human rights, integration, transnational networks. Christina is currently working towards the completion of her BSc in Psychology at Panteion University of Social and Political Sciences in Athens, Greece. She aspires to be a child and adolescent psychotherapist, and since she is passionate about human rights, she desires to work with vulnerable populations in the field. In her free time, Christina loves dancing and singing songs from musicals, as well as travelling unconventionally and meeting new people. Linde is a student at the University of Wageningen, currently in the second year of the International Development program. She specializes within the Conflict and Disaster track, with a focus on minority groups, ethnicity and forced migration. Linde is a very curious person, especially towards other people, cultures, ideas and motivations. She loves swimming in the sea or taking walks on the beach, travelling to places she's never been before and trying the local cuisine, laughing, and ice cream. Alexandra holds a Bachelor of Laws (LL.B) in International and European Law and Master of Laws (LL.M.) in Criminal Law and Criminology with special focus on international criminal law from the University of Groningen, The Netherlands. She is a PhD Candidate at Middlesex University London researching the tensions between the international human rights law and international criminal law approach to the exhumation of mass graves. Alexandra is also the Co-Founder of Alignment for Dignity, an international information network on refugee and asylum in the European Union. Jorinde is currently in her second year of the masters program in International Development Studies at Wageningen University and Research Centre. Within this program, she has specialized in humanitarian aid and conflict studies. Her thesis is focussing on the Maltese asylum system from an anthropological perspective, as she holds a bachelor in Cultural Anthropology. During her studies she has focused on migration to Europe and related asylum and migration policies. When she is not discussing refugee issues, Jorinde likes to cook, read or explore other cultures. Andrew holds a Master of Arts in Diplomatic Studies from the Mediterranean Academy of Diplomatic Studies (MEDAC) - University of Malta. He submitted his dissertation in August 2013, which focused on the doctrine of ‘Responsibility to Protect’ and the UN Security Council’s role in the 2011 intervention in Libya, and inaction in Syria. He also holds a B. (Hons) in European Studies where his main interest was external relations of the EU. Andrew loves to spend his weekend watching Chelsea FC, making music, and surfing. 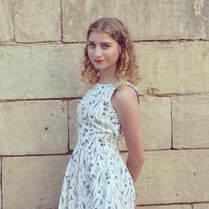 Zhanna graduated from International Boarding School in Malta and then spent one year in The Hague, Netherlands, studying Communications and European Studies. 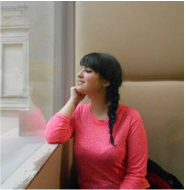 She is currently in the second year of Bachelor of International Relations and Sociology in University of Malta. 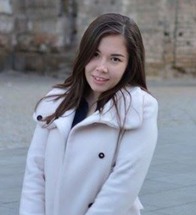 In 2013 she volunteered for an official event dedicated to Kazakhstan Independence Day in Malta as a personal translator and representative on behalf of Kazakh Ambassador. In her free time Zhanna enjoys baking, reading and studying asian culture. Areas of interest: politics, migration and discrimination. David’s main background is Law; however he is currently reading a Master’s Degree in International Relations (University of Siena, Italy). His main focuses include Migration through the Mediterranean Area, International Relations and International Law. He enjoys travelling and cycling. Areas of interest: International Law, asylum, diplomacy and EU politics. Barbara is finishing the first cycle study programme in Law at the University of Ljubljana. In her thesis, she focuses on the grounds for challenging an arbitral award under the UNCITRAL Model Law. 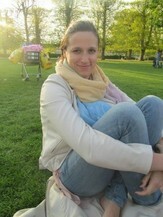 Barbara has spent one semester at the ELTE University – Budapest, studying EU Law and Children’s Rights. She has won the National negotiation competition for Slovenian law students and worked as a legal intern for the DBS Bank and the SKB Bank. She loves to run; her favourite distance is the half marathon. Areas of interests: International Law, Human Rights, Alternative Dispute Resolution. 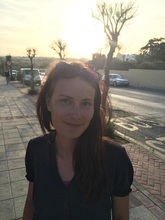 Abigail has a background in anthropology with a BA in Anthropology from the University of Malta and a Masters in Sustainability, Culture and Development from the University of Durham and is currently a Contributing Editor for the journal Cultural Anthropology. She's interested in a multidisciplinary approach to the social sciences and poverty alleviation and climate change. In her free time she enjoys walks with her dogs, cooking and films. Areas of interest: development studies, natural resource management, political ecology, ICT for sustainability and data. Amy is currently in her second year of the Trans-Atlantic Masters program through the University of North Carolina in Chapel Hill. Through the Trans-Atlantic Masters program she has studied political science at Charles University in Prague and the University of Siena. Her primary research areas are Italian immigration policies, European asylum procedures, and foreign policy towards Northern Africa. Amy has her undergraduate degree from Guilford College in history and political science. She has worked for the Appalachian Trail Conservancy as an Economic Development Intern and has worked for various political campaigns in North Carolina. In her free time she enjoys hiking, yoga, traveling and reading. Mara is currently finishing her Bachelor Degree in Social Science at Ruhr-University Bochum, Germany and specialises in migration, transnationalism and borders in the European Union and Mexico as well as gender relations. She was working as a student assistant in the project "Mapping Refugees' Arrivals at Mediterranean Borders" at Ruhr-University Bochum. Mara is also interested in filmmaking and enjoys cooking and travelling. 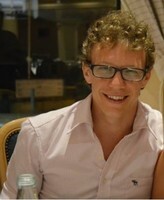 Michael has recently concluded his studies in a Dual Master’s Programme in Conflict Resolution and Mediterranean Security at the School for Conflict Analysis and Resolution (S-CAR) – Geourge Mason University and the Mediterranean Academy of Diplomatic Studies (MEDAC) – University of Malta respectively. With a background in European Studies (B.A (Hons)) his recent Master’s dissertation focused on the EU’s democratizing power through external governance and its effects on Turkey and the AKP’s policies. In his free time he enjoys travelling, playing football and socializing with friends. Anssi is currently studying his second year in the Master’s Programme of Human Security at Aarhus University and conducting field research for his master’s thesis in Malta while working for PfC. He received his BA in international relations from the University of Lapland in 2013 writing his thesis about securitization of migration in EU’s southern borders in the aftermath of Libya’s conflict in 2011. His current research interests include realisation of refugees’ rights, migrants’ perceptions of security and integration. 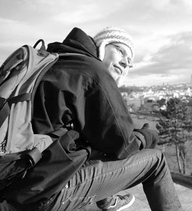 In his leisure time Anssi enjoys swimming, cycling, running, travelling and good food. Areas of Interest: Asylum, Conflict Resolution, Human Rights and Human Security, Integration Policies, Social Justice. Claire is currently studying for a Masters Degree in Humanitarian Action at the University of Malta, in order to get a better understanding on migration issues, policy making, development project management, and response in a crisis situation among other aspects. She holds a BA (Hons) in Anthropology, where she specialised on how gender identity is learnt partly through food. She has previously worked as a cultural mediator with asylum seekers in Malta. 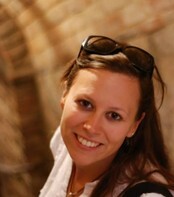 Claire enjoys travelling, reading and photography. Areas of interest: forced migration, theory of dehumanisation, integration and diplomacy. Currently a senior at Mount Holyoke College, Sarah is an Economics major with a concentration in Economic Development. She is keen on understanding the ties among poverty alleviation, migration and public policy. Sarah is particularly interested in forced migration and raises awareness about human trafficking at Mount Holyoke. In her spare time, she enjoys travelling and reading. 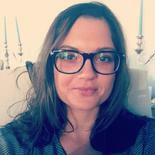 Maddalena is a Master's student of political philosophy at the University of Trento, Italy. She received her B.A. degree in philosophy with a thesis on cosmopolitics thinking. She has previously worked for a development project in Bolivia and collaborated as a volunteer with an NGO, called CISV International, which promotes peace education. In her free time she likes reading, walking with her dog and travelling. Areas of interest: international law of armed conflicts, forced migration, asylum, diplomacy and politics in Middle East. 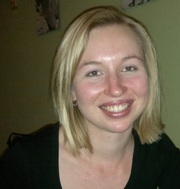 Petra is a fourth-year law student from University of Ljubljana in Slovenia. She is writing her bachelor thesis about the judgment of the ECtHR Janowiec and others v. Russia – Non liquet? and was a member of a winning team of the Central and Eastern European Moot Court in 2014. In her free time she loves doing sports, to travel and read. Areas of interest: International Relations, Human Rights, Diplomacy. 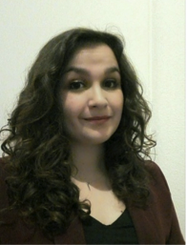 Leonore is a post-graduate student currently obtaining a Master’s degree in Public Policy with a specialization in International Affairs and Non-Profit Management at the Willy Brandt School of Public Policy, University of Erfurt. She holds a Bachelor in Social Work and has collected numerous practical experiences that have exposed her to various fields with many different issues arising, for example, from poverty and deprivation, or mental and physical health problems, drug abuse and family and work matters. Her Bachelor Thesis dealt with the topic of Asylum Seekers coming through Greece from the Turkish border. Leonore enjoys doing all kinds of sport and travelling. Krista is currently a second-year Master’s student at the Fletcher School of Law and Diplomacy where she is concentrating in international migration studies and international organizations. Previously, she received her B.A. in history from Stanford University and then worked at an immigration law office in New York for two years, focusing on employment-based visas, green card applications, and asylum petitions. During the summer of 2013 she interned with the US Embassy in Malta with the Political/Economic section. 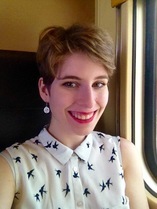 Krista is particularly interested in comparative immigration and asylum systems and is writing her thesis on strategies used by southern border states in the EU and US to challenge supranational asylum and federal immigration policies respectively to put reform back on the agenda. In her free time, Krista loves to dance, travel, and follow her favorite college basketball team. Dragana recently obtained her Master's degree (Hons) in International Sciences from the University of Turin, Italy, with a thesis on the role of propaganda in international criminal law. During her MSc she has been a participant at the National Model United Nations Conference in New York. She received her BA in Foreign Languages from the University of Turin where she specialised in English and Japanese. She is interested in international law, international relations, human rights, asylum, translation. In her leisure time, Dragana enjoys running, reading, traveling and photography. Gabriele is a second year student at Master’s degree in Middle East Studies in the University of Southern Denmark in Denmark. 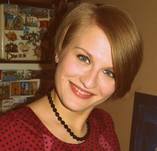 She holds a Bachelor in History from Vilnius University in Lithuania. In her free time, Gabriele, likes to travel, Salsa dancing and a good book. Area of interest: Gender issues, women rights. 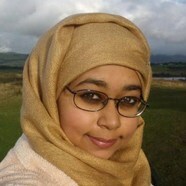 Renesa Islam holds an MSc in Poverty & Development from the University of Manchester. She earned her BA in International Relations Minor in Economics from John Cabot University, an American institution based in Rome. Renesa has been a participant in Rome Model United Nations. Inn her free time Renesa enjoys drawing comics, painting, computer graphics, cooking and blogging. Areas of interests: Microfinance, women's empowerment, human rights, feminisation of migration, poverty alleviation and water rights. 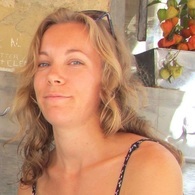 Larissa van Es recently obtained her master’s degree in Global Migration from University College London. During her MSc she co-organised an international student conference on forced migration and worked at a migrant support centre supporting migrants with issues regarding welfare, housing and immigration matters. Larissa holds a BSc in Cultural Anthropology and Development Sociology from the University of Amsterdam. As a result of her academic studies and research she conducted with Spanish speaking migrants and group formation in Amsterdam, Larissa obtained substantive research experience. In addition to being an intern at PfC Larissa currently works as a volunteer for the Dutch Refugee Council supporting asylum seekers during their asylum hearing. Larissa enjoys cooking, travelling and painting. Areas of interest: asylum, migration, human rights, social justice, integration and cultural identity. Karolina is a first-year Master’s student of management in public and non-governmental sector at the Jagiellonian University in Krakow, Poland. She recived her B.A. in Middle East Studies in 2013. Karolina is writing her master thesis about influence of donors on humanitarian aid projects. In her free time she loves to travel and read. Viola holds a Masters degree in Sociology from the University of Turin, where she developed her interest in migration. She focused first on women migration and domestic work, by means of depth interviews to migrant women. Then she focused on the field of asylum, with regard to the conditions of asylum seekers during the so-called North Africa Emergency. She had the opportunity to take part in a cultural project aimed at developing the sense of orientation of some asylum seekers from Libya by working on maps and at encouraging their urban integration. Viola is a co-founding member of Rotaract Club Torino Castello-Valsangone, and she occupied the post of secretary for one year.She also took part in a voluntary project in favour of underprivileged children from several countries. Viola enjoys tennis, music and museums.